Zlatan Ibrahimovic during his Manchester United days. ZLATAN IBRAHIMOVIC HAS revealed the quality of football in the Premier League was exactly as he expected it when he signed for Manchester United — overrated. I don’t regret not having longer in the Premier League. I think everything that happens was meant to happen. Going back to Italy, I was happy in Italy and I knew I would be happy if I go back and I didn’t know if I would be happy if I go to City because it’s a different challenge. Email “The Premier League is overrated - Ibrahimovic”. 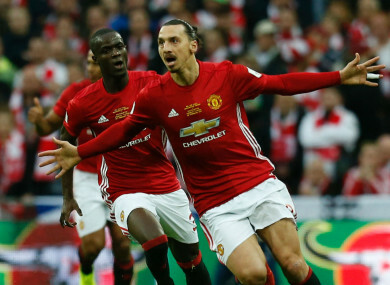 Feedback on “The Premier League is overrated - Ibrahimovic”.